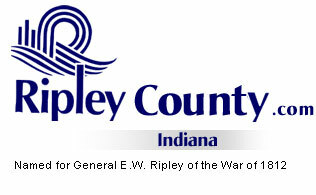 The Ripley County Council met on November 19th, 2007 at the Ripley County Annex in Versailles, Indiana. Council Member Smith made a motion to approve the minutes from the budget hearing of September 5th, 6th, & 7th, and October 15th, 2007 Council Meeting seconded by Council Member Kasier. Motion approved by (Dunbar, Armbrecht, Simon, Kaiser, Smith and Peetz for the Budget hearing/ September 5th, 6th, & 7th) Peetz abstained for the October minutes and Busching abstained for the Budget hearing and October minutes. Council Member Armbrecht made a motion to approve the additional appropriation for Tom Grills, Sheriff of Ripley County of $20,000 from Acct# 100-37501-000-014/ Meals for prisoners, $20,000 from Acct# 100-28200-000-014/Inmate Medical and $20,000 from Acct# 100-25700-000-007/ Garage & Motors seconded by Council Member Kaiser. Motion approved unanimously. Council Member Smith made a motion to approve the additional appropriation for Mary Ann McCoy, Auditor of Ripley County of $1,500 from Acct# 100-11600-000-004/ County General seconded by Council Member Kaiser. Motion approved by 6 members (Dunbar, Kaiser, Peetz, Smith, Simon & Busching). Council Member Armbrecht voted against. Council Member Armbrecht made a motion to approve the additional appropriation for Ripley County Parks & Recreation of $900.08 from Acct# 425-33380-000-050/ Water and Sewer, $428.31 from Acct# 425-28900-000-050/ Gas & Diesel (for reimbursement from the R.C. 4-H Corp and $1,016 from Acct# 425-33370-000-050/ Electric For reimbursement from R. C. 4-H Corp seconded by Council Member Simon. Motion approved unanimously. Council Member Kaiser made a motion to approve the additional appropriation for Ripley County Highway Department of $10,000 Acct# 201-25700-000-027/ Garage & Motors and $45,000 from Acct# 201-28900-000-027/ Gas, Oil & Lubricants seconded by Council Member Armbrecht. Motion approved unanimously. Council Member Armbrecht made a motion to transfer for Pat Thomas, Health Department $3.64 from Acct# 214-34400-000-036/ Vital Records Telephone to Acct# 214-34400-000-037 Vital Records Telephone, $100.00 from Acct# 214-34701-000-036/ Vital Records Official Bonds to Acct# 214-34400-000-037/ Vital Records Telephone and $7.00 from Acct# 214-34402-000-035/ Nurse Telephone to Acct# 214-34400-000-037/ Vital Records Telephone seconded by Council Member Simon. Motion approved unanimously. Council Member Armbrecht made a motion to transfer for the Commissioners of $700 from Acct# 100-27700-000-018/ Dog Warden Supplies to Acct# 100-32701-000-018/ Dog Warden Mileage seconded by Council Member Busching. Motion approved unanimously. Commissioner Reiners withdrew the transfer of $100,000 from Acct.# 278-33261-000-278 EDIT-R.C. Economic Development Corp. to Acct# 278-32520-000-278 Bituminous. Council Member Peetz made a motion to approve the transfer for the Auditor of $2,000 from Acct# 100-25300-000-004/ Office Supplies to Acct# 100-11600-000-004 Clerical seconded by Council Member Smith. Motion approved six member (Dunbar, Simon, Busching, Kaiser, Smith & Peetz) and against one member Armbrecht. Commissioner Reiners advised the Ripley County Council that the Commissioners had committed $100,000 to Osgood for the purchase of the ground for the Economic Development Park and also have made a commitment to the City of Batesville for Merkel Road. Council Armbrecht made a motion to approve the amended Salary Ordinance for Superior Court seconded by Council Member Kaiser. Motion approved unanimously. Council Member Smith made a motion to approve $60,000 for the Humane Society from Riverboat Gaming /Rising Sun for contractual services for Ripley County seconded by Council Member Kaiser. Motion approved unanimously. Attorney Comer will work up a contract for the Humane Society and Ripley County Council Members to sign for the contractual services. Sheriff Grills presented two Ordinances for the Council to approve; one ordinance to create the Ripley County Inmate Medical Fund and to charge the commissary fund for each Doctor, Dentist, Nurse, or medication request by an inmate held at the Ripley County Jail and second ordinance to establish the Ripley County Sheriff’s Home Incarceration and Work Release Program. Council Member Smith made a motion to approve the two ordinances seconded by Council Member Kaiser. Motion approved unanimously. Council Members and Tom Grills, Sheriff went over the salary for 2008 for the Sheriff of Ripley County. Grills advised that he should be making 60% of the Prosecutor’s Salary and tax warrants starting on January 1st, 2008. Sheriff Grills can do the meals for the Jail. This would be the choice of Sheriff Grills, if he chooses the meals program. He would need to pay the county for the food on hand on January 1st, 2008. Economic Development- Edward Armbrecht-updated council on the web site for ED. Council Member Peetz made a motion to adjourn until the next meeting on Monday, December 17th, 2007 @ 7:00PM seconded by Council Member Simon. Motion approved unanimously.